While you contemplate that title, allow me to explain the subject of this installment: previously, I discussed the multitudinous fauna that inhabit the abodes of social insects, and sometimes reap the benefits of membership in said insect societies by impersonating these insects. But there is another aspect of societal symbioses among the Insecta; in many cases, both symbionts are social (or at least descend from eusocial ancestors), producing fascinating compound societies in the process. Originally, the phrase "social parasitism" referred only to these cases (Forel, 1898). In its most basic form, inter-specific relation is simply colonial cohabitation (parabiosis). One exemplar of this habit would be the termites of the genus Inquilinitermes, which appear to be exclusive inquilines of Constrictotermes cyphergaster (although there is a single record of an Inquilinitermes colony residing without association with any other termite; Apolinário & Martius, 2004): their colonies (less populous than those of the host) occupy limited portions of Constrictotermes termitaria, and Inquilinitermes reside in galleries distinct from their hosts' (Cunha et al., 2003): these contain an excess of decomposed organic materials, upon which the inquilines probably subsist (Mathews, 1977). Findings have consistently revealed that among termites there is always a positive correlation between nest size and diversity of inquilines across the taxonomic board (Cristaldo et al., 2012). Inquilinitermes introduce a telling wrinkle to this axiom, as they are found exclusively in association with fully mature C. cyphergaster colonies: more so than the numerous termitophilous beetles that also depend upon the latter termite. This can be attributed to the particular ontogeny of C. cyphergaster colonies, which begin in a subterranean environ with an arboreal unit being subsequently constructed (see pictures); once said unit reaches a volume of 7 liters, the population transfers entirely to their new domicile (Vasconcellos et al., 2007): only fully grown colonies reside in epigaeic termitaria, and only such termitaria are penetrable by Inquilinitermes alates (Cristaldo et al., 2012). Inquiline termites (of which there are a number besides the genus previously mentioned) present an unusual ecological interface with their fellow isopteran hosts, in that both participants in the symbiosis possess the same diet (contrary to the synecthrans described in Pt. 1); isotopic analysis of several builder-inquiline pairs shows that there is careful dietary segregation: to be expected, given the colonies' spatial partitioning (Florencia et al., 2013). Not directly interacting with the architects of their abodes, many termite inquilines are better termed "termitariophiles" (Berg, 1900): an epithet that could also be applied to the African ant Carebara vidua, belonging to a speciose pantropical (Brown, 2000) genus of tiny, poorly-known myrmicines. Among its customarily soil-dwelling congeners (Longino, 2004), C. vidua is aberrant in that it often inhabits the walls of Macrotermes sp. mounds (2-10% of these in Kenya), cooperatively preying upon the much larger natives (although proximity to Macrotermes isn't obligatory; Lepage & Darlington, 1984). 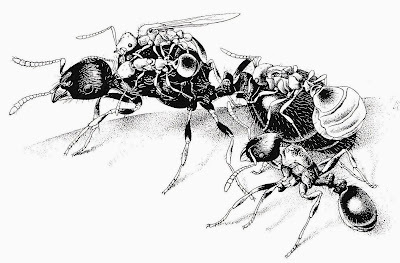 Occasional discoveries of tiny workers clinging to the tarsi of new-mated female alates gave rise to the alluring hypothesis that queens of this ant can only found colonies with the aid of a contingent of workers (see above figure)—supposedly due to the behemoth gynes being too clumsy to care for their larvae alone (Arnold, 1916). This myth (for myth it was) gained an odd degree of currency (Wilson, 1971; Brian, 1986) before being sadly dispelled with newly acquired data (Lowe, 1948; Ettershank, 1966; Lepage & Darlington, 1984; Robertson & Villet, 1989). Those species of Solenopsis belonging to the invalid (Thompson, 1989) subgenus Diplorhoptrum (formerly an independent genus; Baroni Urbani, 1968) are included in the same tribe as Carebara (Solenopsidini), and are commonly termed "thief ants" due to their residence in the nest walls of other ants, from which they steal food and/or prey upon (although Solenopsis species of this type are just as likely to be freely distributed throughout soil as not; Thompson, 1980). Thief ants form the classic example of the relationship called "lestobiosis" (C. vidua is an odd variation on this theme by plaguing termites): an inter-social association one step more intimate than cleptobiosis (synonymous outside of entomology with "kleptoparasitism"; Breed et al., 2012). This phenomenon may manifest in two broad forms: either the mainstay of one species being the middens of another (Hölldobler & Wilson, 1990); or, in the occasional case of honeybees (Apis mellifera), outright burglary of conspecific colonies (Couvillon et al., 2008). Stingless bees (Apidae: Meliponinae) of the species Lestrimelitta limao furnish their entire larder by the breaking-and-entering of other social bees' hives (also raiding resins used for nest construction; Sakagami & Laroca, 1963), and are heavily sclerotized for that end (Sakagami et al., 1993). Heterospecific muggings of individual workers have been observed in a number of ants (Hölldobler, 1986; Espadaler et al.,1995; Yamaguchi, 1995; Grasso et al., 2004; Richard et al., 2004); but Ectatomma ruidum (which may also engage in forcible interspecific cleptobiosis; Perfecto & Vandermeer, 1993) opt for a subtler approach when it comes to pilferage: thieving foragers repeatedly attempt to force entry into alien nests of other E. ruidum, to the point of adopting the latter's chemical signature (Jeral et al., 1997); this facilitates the thieves' passing themselves off as the victims' nestmates, allowing them to bum food off of said victims (Breed et al., 1999). Here we again see deception through the usage of cuticular hydrocarbons (CHCs): the prerequisite for the formation of genuinely mixed colonies, with one species a host and the other a parasite (the intersocial associations I have described up until now were compound nests as per Wheeler, 1901). No distinction is made between the two species in these symbioses, as shown by the desegregation of their brood. Three types of social parasitism are defined: temporary social parasitism, dulosis, and obligate inquilinism (Deslippe, 2010). The first is conventionally regarded as a predecessor of the other two: a foundress infiltrates a foreign colony and (generally) assassinates the endemic reproductive—in the case of the dulotic (more about this later) ant Myrmoxenus ravouxi and its host with prolonged strangulation (Buschinger, 1989); foundresses of Bothriomyrmex decapitans prefer (as one might suspect) decapitation of the much larger host queen (Buschinger, 1986); having done so, she usurps that role within the superorganism by becoming chemically indistinguishable from the individual she superseded (Michener, 2000); as the original workers are no longer replaced, the usurper's offspring gradually come to constitute the colony in its entirety, concluding the parasitic phase of their colonial ontogeny. A Polistes nimphus (Vespidae: Polistinae) foundress may either infiltrate a conspecific colony or a heterospecific one—or alternatively she may not engage in temporary parasitism at all (Lorenzi et al., 2007). This constitutes an aberrant arrangement since in its facultative form, the phenomenon of temporary social parasitism is commonly of exclusively interspecific orientation (Cervo et al., 2004), as exemplified by Vespa dybowskii (Sakagami & Fukushima, 1957) (although the vespine wasps do include many exceptions; MacDonald, 1989). Its intraspecific occurrence is seldom seen (although known in all three social subfamilies of the Vespidae; Matsura & Yamane, 1990; Turillazzi, 1991; Cervo & Dani, 1996), but is hypothetically seen as the first step in an evolutionary scenario leading to more specialized forms of social parasitism (Taylor, 1939; Wilson, 1971) although the exact order of that teleology (if existent) varies according to the taxa concerned (Carpenter, 1997). If the workforce of a victimized colony is too small to repel an intruding parasite, brute force on the parasite's part may suffice for a successful invasion, as it does in the bumblebee Bombus citrinus (obligate inquiline and outright mauler of fellow Bombini; Fisher, 1983). But among the majority of temporary social parasites (and indeed among the aforementioned other two categories of social parasite), semiochemical* tools facilitate successful invasion of host colonies, whether simply to enable olfactory conformation with the host society (Dettner & Liepert, 1994; Zimma, 2002) or as repellents which discourage attack by host workers (D'Ettorre et al., 2000; Zimma et al., 2003). 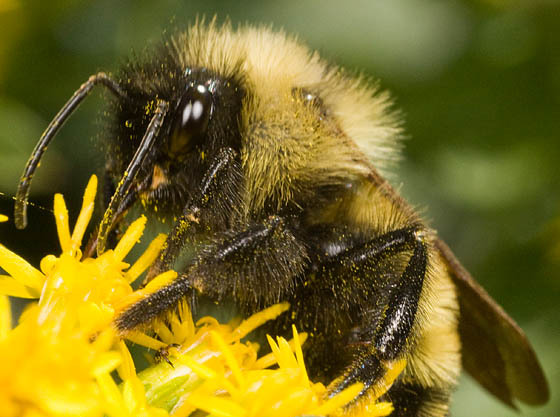 Need for an expanded armament of allomones† has led to enlarged Dufour's glands in socially parasitic bumblebees (Fisher & Sampson, 1992) and more famously among those ants which practice mandatory dulosis (Lenoir et al., 2001). This is a fascinating phenomenon found only within eight genera of the Formicidae (specifically among certain tribes of the Myrmicinae and Formicinae; Alloway, 1980; Buschinger et al., 1980). Dulotic ants conventionally found colonies in the manner of temporary social parasites (D'Ettorre & Heinze, 2001)—previously mentioned M. ravouxi being classic examples; foundresses of other dulotic genera belonging to the Formicoxenini avoid the hurdle of host acceptance by evicting native workers wholesale from the nest (Blatrix & Sermage, 2005). Once established, dulotic ants assault other colonies of their host species and steal brood (Buschinger, 1986)—sometimes with preference shown towards pupae and later-instar larvae (Wesson, 1939), breaking through by emitting "propaganda" allomones† which induce panic in the defenders (Regnier & Wilson, 1971): the onslaught may even expel the raided colony from its nest, into which the attackers then emigrate (Stuart & Alloway, 1983). 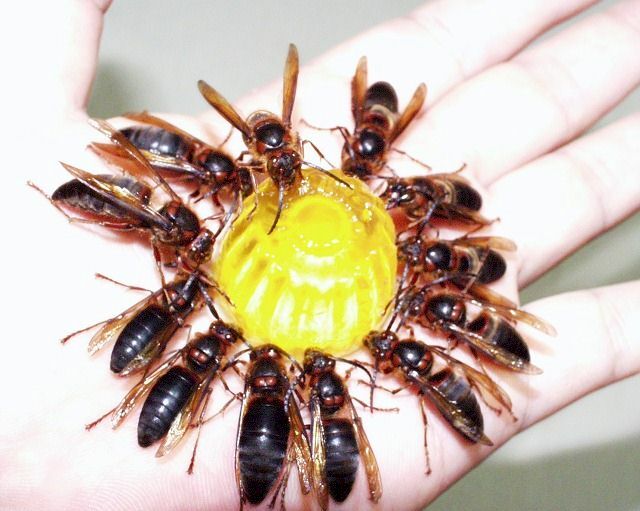 Upon eclosion, the emergent workers behave towards their abductors as they would towards their own sisters, fully adopting this unrelated colony as their own (and actively participating in raids on colonies of their own species): this is made possible by the fact that ants only learn to identify their colony odor after pupation (Le Moli, 1980). Among the less derived practitioners of dulosis (some species may engage in it only occasionally; Alloway, 1980), workers of both species perform the same tasks: but morphological specialization for raiding—whether evinced by indented scrobes for protection of the antennae in combat (Stuart & Alloway, 1983), or by scimitar-like mandibles for dismembering host defenders—has in the cases of said genera culminated in total dependence upon violently acquired heterospecific labor. Workers of the classically dulotic Polyergus rufescens, for example, cannot care for brood nor even feed themselves when unassisted by Formica sp. nestmates (Topoff & Zimmerli, 1991). Hence the usage of the term "slavery" to describe dulosis (a word derived from doulos, Greek for "slave"). 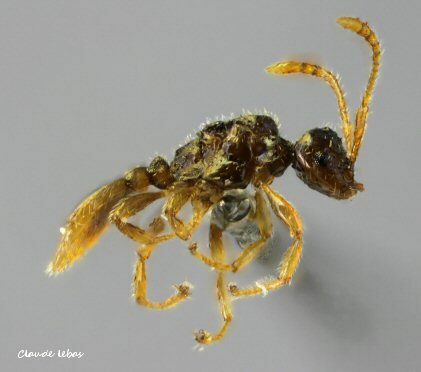 To complete the metaphor, previously enslaved workers of Temnothorax longispinosus have been observed to "rebel" through neglect and/or active slaughter of their "oppressors'" brood (Protomognathus americanus; see above picture) (Pamminger et al., 2012). 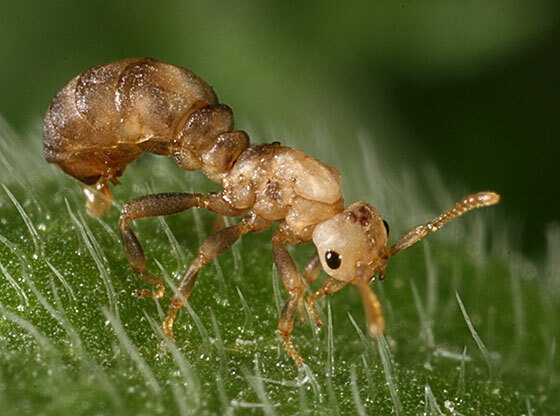 This discovery was unexpected: it had been argued that there is nothing slave ants could (or would) do to resist their parasites following their assimilation into a slave-maker colony (Achenbach & Foitzik, 2009). Although apt enough to have caught on in myrmecological parlance as soon as dulosis was identified by science (Huber, 1810), the "slavery" analogy is inaccurate and undesirably anthropomorphic: unlike humans, "slave-raiding" ants do not enslave members of their own species; hence the case for usage of dulosis' synonym: "cleptergy"‡. 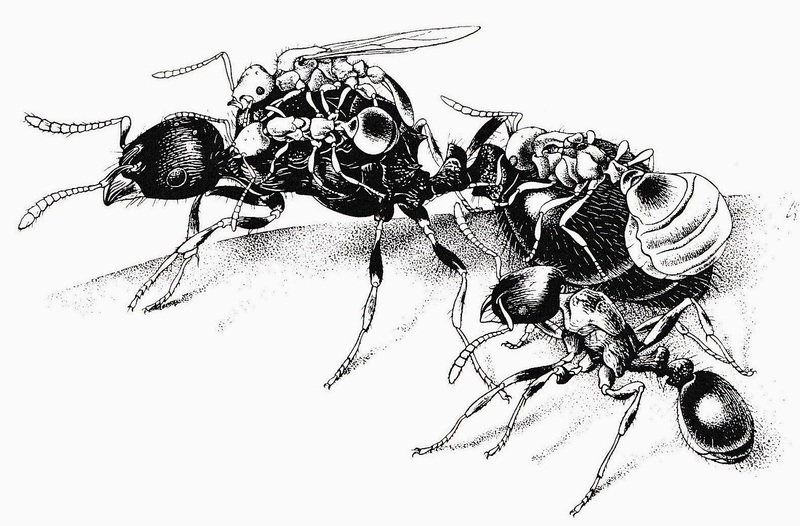 Since slave-makers only abduct immature hosts (with the sole exception of Strongylognathus, whose colonies may meld with their Tetramorium hosts' following raids; Sanetra & Güsten, 2001: see above photograph), Alexander Wild's newly-coined phrase "kidnapper ant" (Wild, 2013) might be an appropriate (and indisputably welcome) alternative. Of course, dulosis did not develop out of the holding of brood for ransom: currently, it appears that it probably emerged from intraspecific territorial raids when stolen pupae, rather than being devoured, were allowed to mature (Wilson, 1975); although how this led to the syndrome of notoriously specialized slave-makers like Polyergus remains unclear. Generally, the question of how, why, and from what social parasitism originated is also uncertain. Emery's Rule (named for myrmecologist Carlo Emery) in its strict sense holds that social parasites are always more closely related to their hosts than to any other taxa (Le Masne, 1956): in essence, the hypothesis holds that a given social parasite must have descended from its host (Emery, 1909). More recent data would seem to have disproved this idea—the inquiline bumblebee subgenus Psithyrus (parasites of other subgenera included in Bombus) is monophyletic, after all, as are the cuckoo paper wasps (formerly the genus Sulcopolistes; Carpenter, 1996). Cladistic analyses (Carpenter & Perera, 2006) of assorted inquilines have also poked holes in this concept's accuracy. But it remains far easier for a social insect to hoodwink its cousins and accepted into their community than it is to do the same to a more dissimilar host (Le Masne, 1970), and by and large among the Hymenoptera this holds true (social parasites are unknown so far from the Isoptera; Cervo, 2006). This does not mean that Emery's Rule is never broken: the Javanese ant Polyrhachis lama lives exclusively in compound nests with Diacamma sp. ; these are respectively included in the Formicinae and Ponerinae, subfamilies located distantly on the formicid family tree. Their superorganisms differ strongly: Polyrhachis are familiarly monogynous§ (Witte et al., 2009), whereas Diacamma are one of the unusual queenless ants (gamergates|| lay eggs in queens' stead; Cournault & Peeters, 2012). Even so, this parasite/host duo is very much integrated: brood are fully intermixed (with some dietary distinction) (Maschwitz et al., 2000), odor trails are used in common (Maschwitz et al., 2001), and P. lama do not forage whatsoever (Witte et al., 2009). One colony may even plague several of Diacamma's simultaneously (Maschwitz et al., 2004), an oddity only observed elsewhere in cuckoo paper wasp Polistes atrimandibularis, parasite of P. biglumis—singularly, only one host colony serves to rear parasite larvae, with the brood of all others being fed by P. atrimandibularis to their own young (Cervo et al., 1990). Wasps previously classified as Sulcopolistes (such as this species) are interestingly restricted to the Mediterranean basin and the Hyrcanian coast (Cervo, 2006). Peculiar biogeography is a recurrent theme among social parasites: ants to which this term applies are biased away from the tropics (dulotic ants are restricted to the temperate zones of the Northern Hemisphere; Wilson, 1975) despite such regions hosting the lion's share of ant biodiversity; and the worker-lacking ant Teleutomyrmex is known only from a few scattered localities in the Alps, Pyrenees, and the Iberian Sierra Nevada. And if one views the tale of social parasitism's evolution as a unilateral narrative leading to ever-more extreme levels, then Teleutomyrmex (and its kin Anergates) would be upheld as the undoubted culmination of the whole trend: more so even than workerless Polistes (="Sulcopolistes") and Bombus (=Psithyrus). Both genera belong to the myrmicine tribe Tetramoriini—and both deceive the nominate genus Tetramorium: A. atratulus overwhelmingly inhabiting colonies of the familiar pavement ants in the vague T. caespitum/impurum species complex, and occasionally T. chefketi and moravicum (Lapeva-Gjonova et al., 2012); Teleutomyrmex of both species (schneideri and kutteri) are inquilines of the aforementioned pavement ant species aggregation. 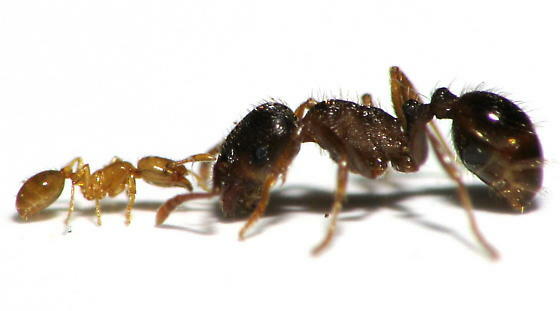 A. atratulus (known in the vernacular as the "dark guest ant") is widespread throughout western Eurasia, even having hitchhiked on its introduced host into North America, but remains rare throughout its range (Creighton, 1950): possibly since for whatever reason they cannot haunt queenright Tetramorium colonies (Buschinger, 2009). Teleutomyrmex gynes, conversely, spend most of their time residing on the backs of their host queen once they have infiltrated the host colony: one pavement ant queen was immobilized by the weight of the eight fellow reproductives that had managed to cram themselves onto her (Stumper, 1950); their weird disk-abdomens are concave so as to conform with the polished rounded surface of their bearer's gaster¶. Members of both genera are weak and contribute nothing to the colony in which they live: degenerate in the mouthparts and antennae, their exoskeletons pallidly delicate, the males pupoid in overall shape (Hölldobler & Wilson, 1990); only the queens are alate in order that they may disperse to new Tetramorium colonies, upon entering which they bloat with swelling ovaries and become inactive (Gösswald, 1953; Buschinger et al., 2003). Thus, the wingless males copulate only with their sisters (Heinze et al., 2007): in a final instance of strangeness, Anergates (and presumably Tetramorium) have been obligatorily incestuous for thousands of generations. It remains to be confirmed as to whether other workerless social parasites among the ants (including six species in the extravagantly speciose genus Pheidole; Wilson, 2003) also mate only with siblings. ...Thence came the subtitle for this post, which, while contributing nothing substantive, may have grabbed your attention. Or not. Oh well. *Any organically produced chemical used for communication. †Semiochemicals which are directed at other species and benefit the emitter only (as opposed to pheromones). || Workers that produce fertile eggs. Alloway, T. M. (1980). The origins of slavery in Leptothoracine ants (Hymenoptera: Formicidae). American Naturalist, 115, 247-261. Arnold, G. (1916). A monograph of the Formicidae of South Africa. Annals of the South African Museum, 14, 1-766. Baroni Urbani, C. (1968). Über die eigenartige Morphologie der männlichen Genitalien des Genus Diplorhoptrum Mayr (Hymenoptera: Formicidae) und die taxonomischen Schlussfolgerungen. Zoologische Morphologie Tiere, 63, 63-74. Berg, K. (1900). Termitariophile. Comm. Mus. Nacl. Buenos Aires, 1, 212-215. Breed, M. D.; McGlynn, T. P.; Stocker, E. M. and Klein, A. N. (1999). Thief workers and variation in nestmate recognition behavior in a ponerine ant, Ectatomma ruidum. Insectes Sociaux, 46(4), 327-331. Brown, W. L. (Jr.) (2000). Diversity of ants. In Agosti, D.; Majer, J. D.; and Alonso, L. E. (eds.) (280 pp. ): Ants: Standard Methods for Measuring and Monitoring Biodiversity. Washington, D.C.: Smithsonian Institution Press. Buschinger, A. (1989). Evolution, speciation, and inbreeding in the parasitic ant genus Epimyrma (Hymenoptera, Formicidae) [electronic version]. Journal of Evolutionary Biology, 2, 265-283. Retrieved 12/9/13 from doi: 10.1046/j.1420-9101.1989.2040265.x. Buschinger, A.; Ehrhardt, W.; and Winter, U. (1980). The organization of slave raids in dulotic ants: a comparative study (Hymenoptera; Formicidae). Zoologie und Tierpsychologie, 53, 245-264. Buyschinger, A.; Schlick-Steiner, B. C.; Steiner, F. M.; and Sanetra, M. (2003). Anergates atratulus, eine ungewöhnlish seltene Parasiten-Ameise. Ameisenschutz Aktuell, 17, 1-6. Carpenter, J. M. (1996). Phylogeny and biogeography of Polistes. In Turillazzi, S. and West-Eberhard, M. J. (eds.) (pp. 18-57): Natural History and Evolution of Paper-Wasps. Oxford: Oxford University Press. Cervo, R. and Dani, F. R. (1996). Social parasitism and its evolution in Polistes. In Turillazzi, S. & Eberhard, W. M. J. (eds.) (pp. 98-112): Natural History and Evolution of Paper-Wasps. Oxford: Oxford University Press. Cervo, R.; Lorenzi, M. C.; and Turillazzi, S. (1990). Sulcopolistes atrimandibularis, social parasite and predator of an alpine Polistes (Hymenoptera, Vespidae). Ethology, 86, 71-78. Creighton, W. S. (1950). Ants of North America. Bulletin of the Museum of Comparative Zoology, 104, 585. Couvillon, M. J.; Robinson, E, . J. H.; Atkinson, B.; Child, L.; Dent, K. R.; and Ratnieks, F. L. W. (2008). En garde: rapid shifts in honeybee, Apis mellifera, guarding behavior are triggered by onslaught of conspecific intruders. Animal Behaviour, 76(5), 1,653-1,658. Dettner, K. and Liepert, C. (1996). Chemical mimicry and camouflage. Annual Review of Entomology, 39, 129-154. D'Ettorre, P.; Errard, C.; Ibarra, F.; Francke, W.; and Hefetz, A. (2000). Sneak in or repel your enemy: Dufour's gland repellent as a strategy for successful usurpation in the slave-maker Polyergus rufescens. Chemoecology, 10, 135-142. Emery, C. (1909). Über den ursprung der dulotischen, parasitischen und myrmekophilen Ameisen. Biol. Centralbl., 29, 352-362. Espadaler, X.; Gómez, C.; and Suñer, D. (1995). Seed-robbing between ant species intervenes in the myrmecochory of Euphorbia characias (Euphorbiaceae). Psyche, 102(1-2), 19-25. Ettershank, G. (1966). A generic revision of the world Myrmicinae related to Solenopsis and Pheidologeton (Hymenoptera: Formicidae). Australian Journal of Zoology, 14, 73-171. Fisher, R. M. (1983). Behavioural interactions between a social parasite, Psithyrus citrinus (Hymenoptera: Apidae) and its bumble bee hosts. Proceedings of the Entomological Society of Ontario, 114, 55-60. Fisher, R. M. and Sampson, B. J. (1992). Morphological specializations of the bumble bee social parasite Psithyrus ashtoni (Cresson) (Hymenoptera: Apidae). Canadian Entomology, 124, 69-77. Forel, A. (1898). La parabiose chez les fourmis. Bull. Soc. Vaud. Sci. Nat. , 34, 380-384. Gösswald, K. (1953). Histologische Untersuchungen an der arbeiterlosen Ameise Teleutomyrmex schneideri Kutter (Hym. Formicidae). Mitteilungen der Schweizerischen Entomologischen Gesellschaften, 26(2), 81-128. Grasso, D. A.; Mori, A.; Giovannotti, M.; and Le Moli, F. (2004). Interspecific interference behaviors by workers of the harvesting ant Messor capitatus (Hymenoptera Formicidae). Ethology, Ecology & Evolution; 16(3), 197-207. Hölldobler, B. (1986). Food robbing in ants, a form of interference competition. Oecologia, 69(1), 12-15. Hölldobler, B. and Wilson, E. O. (1990). The Ants. Cambridge: the Belknap University Press of Harvard University Press. Huber, P. (1810). Recherches sur les Moeurs ded Fourmis Indigènes. Paris: J. J. Paschoud. Jeral, J. M.; Breed, M. D.; and Hibbard, B. E. (1997). 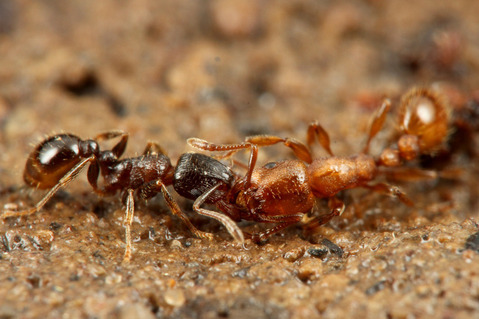 Thief ants have reduced quantities of cuticular compounds in a ponerine ant, Ectatomma ruidum. Physiological Entomology, 22(3), 207-211. Le Masne, G. (1956). Recherches sur les fourmis parasites: Plagiolepis grassei et l'evolution des Plagiolepis parasites. C. R. Acad. Sci., 243, 673-675. Le Masne, G. (1970). Observations sur les relations entre individus dans les sociétés de fourmis. Thèse faculté des Sciences de Paris, n° CNRS AO.5005. Le Moli, F. (1980). On the origin of slaves in dulotic ant societies. Boll. Zool., 47, 207-212. Lenoir, A.; D'Ettorre, P.; Errard, C.; and Hefetz, A. (2001). Chemical ecology and social parasitism in ants. Annual Review of Entomology, 46, 573-599. Lowe, G. H. (1948). Some observations on the habits of a Malayan ant of the genus Carebara. Proceedings of the Royal Entomological Society of London (A), 23, 51-53. MacDonald, J. F. (1989). An exposed Vespula germanica colony usurped by maculifrons. Sphecos, 18, 9-10. Maschwitz, U.; Go, C.; Kaufmann, E.; and Buschinger, A. (2004). A unique strategy of host colony exploitation in a parasitic ant: workers of Polyrhachis lama rear their brood in neighbouring host nests. Naturwissenschaften, 91, 40-43. Mathews, A. G. A. (1977). Studies on Termites from the Mato Grosso State, Brazil. Rio de Janeiro: Academia Brasilieria de Ciências. Matsura, M. and Yamane, S. (1990). Biology of the Vespine Wasps. Berlin: Springer Verlag. Michener, D. C. (2000). The Bees of the World. Baltimore: Johns Hopkins University Press. Perfecto, I. and Vandermeer, J. H. (1993). Cleptobiosis in the ant Ectatomma ruidum in Nicaragua. Insectes Sociaux, 40(3), 295-299. Raczkowski, J. M. and Luque, G. M. (2011). Colony founding and social parasitism in Lasius (Acanthomyops). Insectes Sociaux, 58, 237-244. Regnier, F. E. and Wilson, E. O. (1971). Chemical communication and "propaganda" in slave-maker ants. Science, 172, 267-269. Sakagami, S. F. and Laroca, S. (1963). Additional observations on the habits of the cleptobiotic stingless bee, the genus Lestrimelitta Friese (Hymenoptera, Apoidea). Journal of the Faculty of Science, 15(2), 319-339. Sakagami, S. F.; Roubik, D. W.; and Zucchi, R. (1993). Ethology of the robber stingless bee, Lestrimelitta limao (Hymenoptera, Apidae). Sociobiology, 21(2), 237-277. Sanetra, M. and Güsten, R. The socially parasitic genus Strongylognathus Mayr in North Africa (Insecta: Hymenoptera: Formicidae). Zootaxa, 20, 1-20. Stuart, R. J. and Alloway, T. M. (1983). The slave-making ant, Harpagoxenus canadensis M. R. Smith, and its host species, Leptothorax muscorum (Nylander): slave raiding and territoriality. Behaviour, 85, 58-90. Stumper, R. (1950). 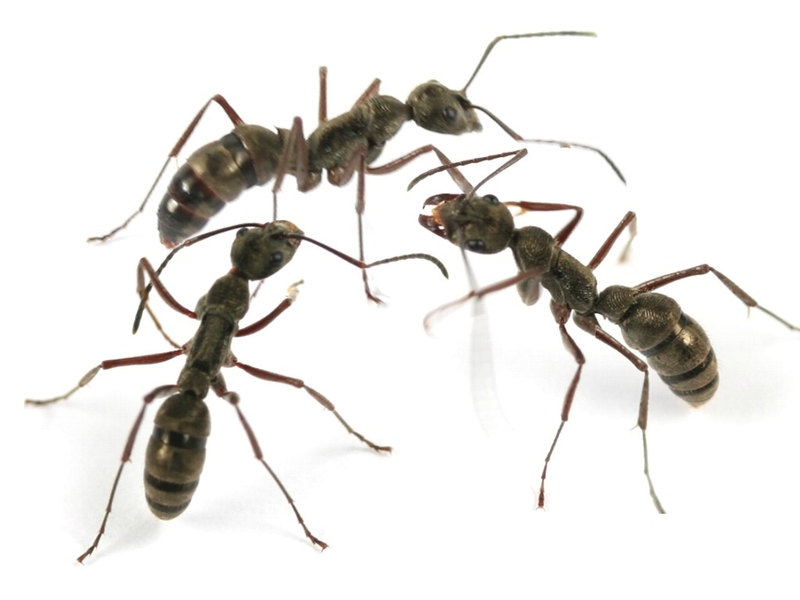 Les associations complexes des fourmis: commensalisme, symbiose et parasitisme. Bulletin Biologique de la France et de la Belgique, 84(4), 376-399. Taylor, L. H. (1939). Observations on social parasitism in the genus Vespula Thomson. Annals of the Entomological Society of America, 32, 304-315. Thompson, C. R. (1980). Monograph of the Solenopsis (Diplorhoptrum) of Florida. Ph.D. dissertation. University of Florida. Turillazzi, S. (1991). The Stenogastrinae. In Ross, K. G. and Matthews, R. W. (eds.) (pp. 74-98): The Social Biology of Wasps. Ithaca: Cornell University Press. Vasconcellos, A.; Araújo, V. F. P.; Moura, F. M. S.; and Bandeira, A. G. (2007). Biomass and population structure of Constrictotermes cyphogaster (Silvestri) (Isoptera: Termitidae) in the dry forest of Caatinga, Northeastern Brazil. Neotropical Entomology, 36, 693-698. Wesson, L. G. (1939). Contributions to the natural history of Harpagoxenus americanus Emery (Hymenoptera; Formicidae). Transactions of the American Entomological Society, 65, 97-122. Wheeler, W. M. (1901). The compound and mixed nests of American ants. Part II. The known cases of social symbiosis among American ants. American Naturalist, 35, 513-539. Wilson, E. O. (1971). The Insect Societies. Cambridge: Harvard University Press. Wilson, E. O. (2003). Pheidole in the New World: a Dominant, Hyperdiverse Ant Genus. Cambridge: Harvard University Press. Yamaguchi, T. (1995). Intraspecific competition through food robbing in the harvester ant, Messor aciculatus (Fr. Smith),and its consequences on colony survival. Insectes Sociaux, 42(1), 89-101. Zimma, B. O. (2002). Identification of a repellent allomone in the social parasitic bumblebee Psithyrus norvegicus (Hymenoptera, Apidae). Diploma thesis, University of Vienna.